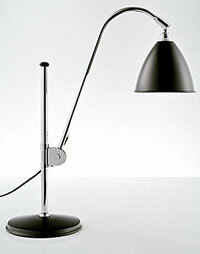 1930s modernist design wasn’t confined to Germany you know – us Brits were flying the flag for functional design too, producing items like the rather stylish BestLite lamp. It was produced by Birmingham company Best and Lloyd, was beloved by architects of the day and was even a feature on Winston Churchill’s desk. Sadly, it’s been forgotten for several decades – until now. Best and Lloyd has been bought out by Danish company Gubi, who are keen on showing off the BestLite once more. You can buy it now in several of the smarter designs shops, but at a price. Which is currently £275. If you can’t afford that, there’s likely to be a few budget copies along soon enough!